MINNEAPOLIS, MN (October 11, 2018) – Click Boarding, a leading a modern onboarding platform, today announced it has partnered with The Talent Board to ‘onboard’ attendees to the 2018 North American Talent Board Candidate Experience (CandE) Awards on October 15 through its mobile-first onboarding platform. For the first time, CandE Awards attendees will have advance access to detailed program information, maps, tips on what to wear, agenda and timelines, contact information, award winners, speakers, sponsors, and more. Click Boarding is an intuitive, mobile-first onboarding platform that marries employee engagement with the HR administrative and compliance aspects of managing the onboarding process. Click Boarding is the only modern onboarding platform that provides employees a consumer-like experience while streamlining and simplifying the HR onboarding process. 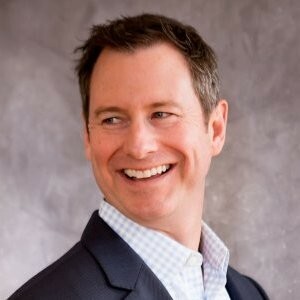 “The partnership with The Talent Board illustrates the flexibility available within the Click Boarding platform to provide relevant, personalized and customized consumer-like experiences to both employees and HR regardless of geography, language, role or department,” said Patrick Rooney, Chief Marketing Officer at Click Boarding. “We are honored to be involved with the CandEs and be part of the movement to improve the end-to-end candidate experience. Now in its eighth year, the Candidate Experience (CandE) Awards is a competition that enables companies to benchmark and improve their candidate experience. Any corporation that is interested in enhancing the candidate experience they provide, regardless of sophistication, will benefit from participating in the benchmark process. The data submitted is treated confidentially and only the names of winning organizations will ever be released to the public. Click Boarding is a modern onboarding platform that excites HR and new hires by blending great employee engagement, new hire forms and onboarding tasks into a simple, flexible and compliant solution. As companies struggle to effectively engage new employees while efficiently adhering to compliance standards, Click Boarding makes HR’s job easier by replacing disjointed and inconsistent onboarding processes with a single, secure and streamlined platform that delivers the engaging welcome new employees expect. For more information, follow us at @ClickBoardingHR, on LinkedIn or visit us at www.clickboarding.com.